Small businesses have traditionally been underserved by IT support firms. Many small companies allow themselves to become overly dependent on individual freelance consultants or small consulting organisations who lack the bandwidth or comprehensive skill sets to respond promptly or effectively to technical emergencies. APTECH SYSTEMS aim is to work as a solution provider, not a product reseller. To facilitate this, ASL not only provides complete IT solutions but also guidance and education to navigate through an increasingly complex maze of technology options available for accelerating business growth and improving productivity. Small businesses do not need an IT consultant or firm trying to sell them products. IT consulting combined with product selling can lead to a situation where the proposed solution may not be the optimal one because it is built around a predetermined technology rather than being based on the genuine needs of a small business. APTECH SYSTEMS specialise in providing enterprise class IT and network support to a wide range of companies. We have developed a unique support delivery system that includes a low-overhead but tightly connected virtual office infrastructure, sophisticated remote troubleshooting technology, a large pool of engineers, a Help Desk service model that maximises responsiveness and ensures follow-through, a team of on-line support professionals, an on-site service availability for most areas in the UK, and a company culture focused on solving technical problems in the shortest time and at the least cost to customers. 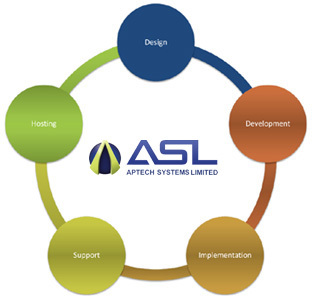 All this has helped make APTECH SYSTEMS one of the specialised company in IT Outsourcing. Distinct from our "IT Support services", our ‘IT Outsourcing’ service is designed for customers who don’t have an expert in-house IT support function, and who prefer to focus management energies elsewhere. By delivering professional know-how when you need it, providing in-depth expertise for critical business applications, offering innovative services such as virtual network hosting, cloud computing, APTECH SYSTEMS enables you to maximise the business value of your information system and minimise support costs.